On limited occasions, Industrial Shelving Systems has short term access to large lots of used shelving or pallet rack. These deals are often all or nothing, and first come first serve. 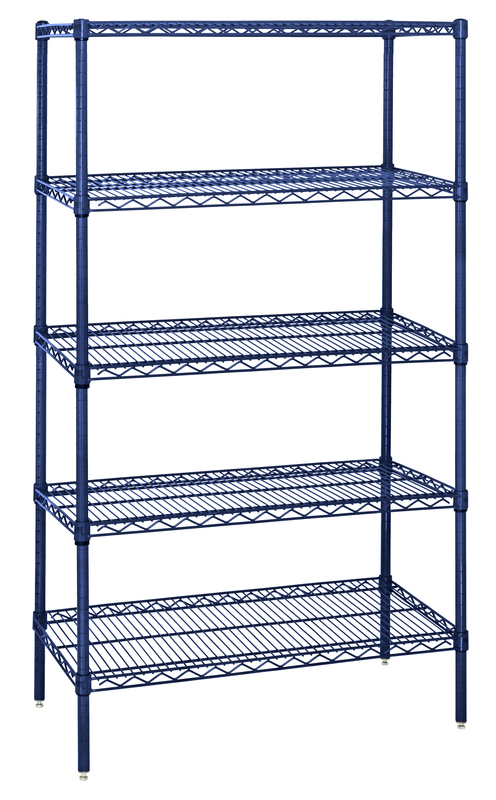 Industrial Shelving Systems makes no guarantee that the items listed on this page are not already sold. Serious inquiries for large quantities only please! No residential inquiries allowed. The discontinued Endurance Finish is a Blue epoxy coated finish great for high humidity or corrosive environments and is fortified with an anti-bacterial agent. COLOR IS BLUE. LIMITED QUANTITIES AVAILABLE! Please call 1-800-875-6201 to place an order. Buy several units, or the entire lot. Inventory changes with every order, here's what we had as of 10/16/18.